Ladies and gentlemen, are you ready for the classic rock band Chicago??? Coming LIVE to the Bob Carr Theater on Friday 27th October 2017! 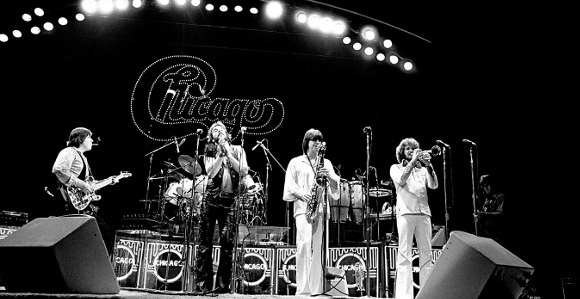 Since 2018, Chicago have been one of the “greatest of all time,” bands from the US in singles chart success, and are one of the best-selling bands in musical history!! Don’t miss your chance to see them live – book your tickets to see Chicago today. Formed in 1967 in, of course, their hometown of Chicago, with the original line-up consisting of Peter Cetera, Terry Kath, Robert Lamm, Danny Seraphine, Walter Parazaider, James Pankow and Lee Loughnane, the “rock and roll band with horns,” started out as an experimental and politial rock band. Later, they shifted to a softer sound that captured the attention of audiences around the world and brought them one smash hit after another!! Get ready to sing along to all the songs you love – get your tickets to see Chicago NOW! !